I bought this book from one of our Animal Liberation jumble sales and after reading it I can’t believe someone gave it away! 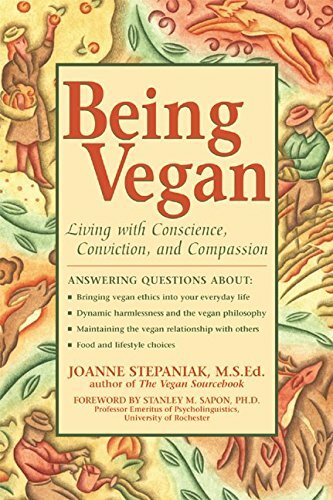 Joanne answers questions throughout on vegan philosophy, relationships with family and friends, ethical practice, vegan practice and food. It is so informative and has answered many questions I had although I have been vegan for 5 1/2 years. It’s definitely a book I will keep referring to. Hi Francine, This is definitely a gem. This is the first book I read after becoming Vegan back in 2011. Everything in it made so much sense to me. Definitely one of my most treasured books.